Archaeologists use many sophisticated scientific methods to learn about the past, but they still have to get their data the old fashioned way – they go out to the field and dig for it. Combining participation in an archaeological dig with classroom sessions and lab work, students will delve into the methods and theories archaeologists use to understand the past. The field site for the course will be especially interesting for students with an interest in early American history, Notre Dame history, and Native American life. When Notre Dame was founded in 1842, the campus consisted of three run down log cabins near what is now the Log Chapel and Old College building (the first brick building on campus). Today, an archaeological site containing rich evidence about daily life at the University’s founding and throughout its first century is hidden beneath the carefully manicured lawn. Deeply buried layers contain artifacts that were left behind when prehistoric Native Americans briefly camped by the campus lakes at least 3,000 years ago. This year we will explore the Old College site to see what new insights it can provide into Notre Dame’s foundational years. We may find physical evidence of Catholic missionaries who are said to have ministered on the campus in the early 1700s, almost a century and a half before Notre Dame was founded, as well as evidence of the prehistoric camp at the site. By the end of the course, you will know what archaeology is, how it is done, the resources that exist on campus, and how to talk about it to other students and to those who will visit the site while our class is at work. You will also learn about what a career in archaeology entails and how you might further explore this fascinating subject. Mark Schurr is a Professor of Anthropology who specializes in archaeology. His research focuses on the archaeology of eastern North America (especially the Southeast and the Upper Great Lakes region). An early interest in chemistry eventually led to a B.S. in Chemistry and a continuing interest in archaeological chemistry, especially stable isotope analysis and fluoride dating. He has conducted field work since 1984 at both prehistoric and historic sites, with special emphasis on using remote sensing techniques to investigate sensitive sites. From 2003 through 2009, he directed an archaeology project called “Public Archaeology at Collier Lodge” that brought together students and residents of the local community to explore the Collier Lodge site, a site which is now on the National Register of Historic Places. He has published a book chapter on the archaeology of the Old College site and last dug there in 1993 so it is time to learn more. Dr. Madeleine McLeester is a postdoctoral scholar in the Department of Anthropology specializing in archaeology. She investigates late prehistoric communities in the Great Lakes and co-directs the excavation of the Middle Grant Creek site with Professor Schurr. 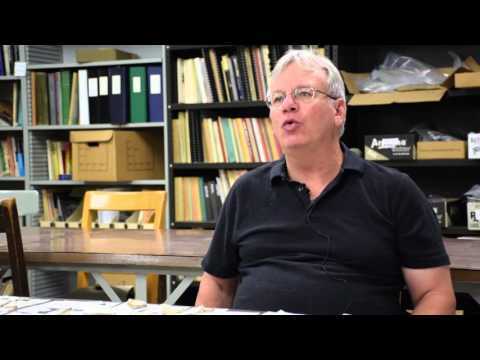 Dr. McLeester became interested in archaeology after volunteering in an archaeological laboratory as an undergraduate at University of Chicago. She has excavated in Russia, Armenia, Mexico, and multiple locations throughout the United States. Focusing on environmental archaeology, she uses methods, such as pollen and stable isotopic analyses to reconstruct past environments and climate. Dr. McLeester also uses early ethnographic records to expand existing archaeological interpretations of prehistoric Native American communities. Her current research projects include a collaboration using drone-based imagery to detect archaeological features and explorations of long distance trade between the Great Lakes and Florida. She started her position in Fall 2017 and is excited to lead a hands-on investigation of Notre Dame’s past.